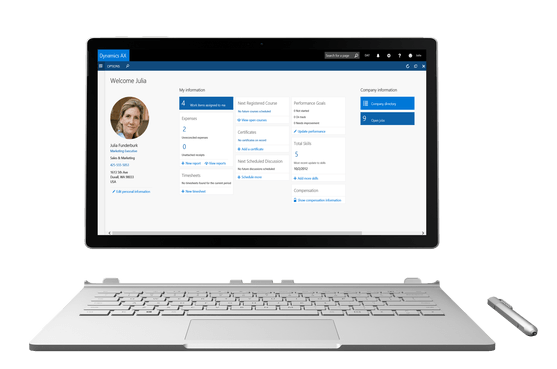 When you are working with Dynamics 365 for Finance and Operations, sure you can come along a long way storing data that is relevant to you using the standard available entities and fields. However, there’s always relevant data you want to have insight into not matching your standard process, let alone your standard solution. A good improvement on this topic is the document preview pane. This does exactly what you’d expect, show a preview of the attached at hand. Whether it’s an image, PDF file or in example a Word document, a preview of the file will be shown allowing you to quickly check the attachment. The preview pane is not just a fixed preview thumbnail, but allows you control over the file by for example, scrolling or zooming in and out of the preview. The attachments preview uses the Web app Open Platform Interface (WOPI) that is provided by Microsoft Office Online Server. On the Document management parameters page, on the General tab, in the Office Web Apps Server field, specify the Office Online Server instance to use for attachment previews. The default value is https://onenote.officeapps.live.com. This value points to the cloud-based WOPI server. When an environment is on-premises, the default cloud-based WOPI server can’t read the attachment file to provide a preview. If previews are required, you must install an on-premises Office Online Server instance and configure it inside the environment. Set the Office Web Apps Server field to the host name of the installed Office Online Server instance, and then click Save. If previews aren’t required, set the Office Web Apps Server field to https://localhost. The preview will then show the message “No preview available” instead of an error message. Introduced with Platform Update 11, there now is an indicator to tell you whether an attachment is, or multiple attachments are, present on a specific record. When viewing a record, the system will indicate the number of attachments on that record by showing a count on the Attachments button. This number will indicate that there are attachments associated with the record, without having to navigate to the attachment details form. The count will show up to 9 attachments, with more than 9 attached documents being represented as “9+”. For more information, see Configure document management. An example of a record with one attachment. The attachment presence indicator indicates this by displaying the small ‘1’ icon on top of the attachment icon. Something on availability: The attachment presence and document count indicator functionality is available from Platform Update 11 onwards.